The U.S.-U.A.E. Business Council hosted senior Emirati healthcare officials this week on the margins of Arab Heath in Dubai for two exclusive roundtable discussions focused on the latest developments in the U.A.E.’s healthcare sector. 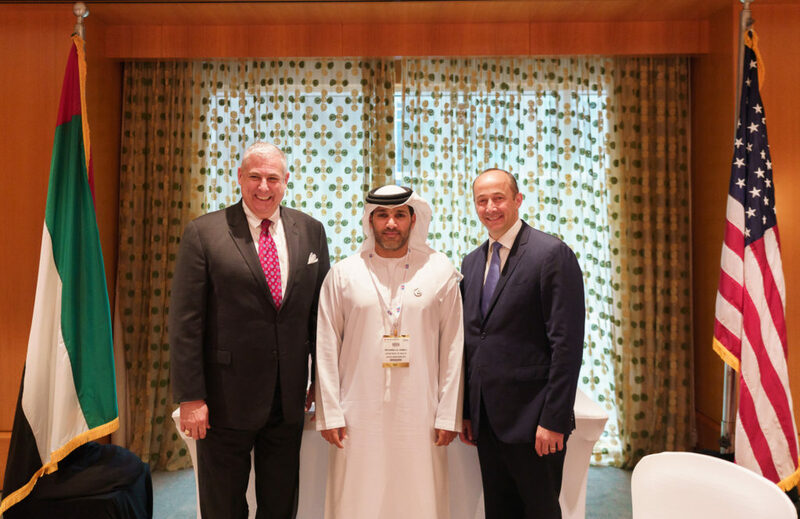 First, on Tuesday, January 29th, the Business Council hosted His Excellency Dr. Amin Al Amiri, Assistant Undersecretary of Public Health Policy & Licensing at the U.A.E. Ministry of Health and Prevention (MOHAP). Following a brief introduction by U.S.-U.A.E. Business Council President Danny Sebright, His Excellency delivered a presentation and provided updates on MOHAP’s latest policies and initiatives. He notably expanded on regulatory changes, registration of medical and pharmaceutical products, and the U.A.E. government’s strategy for tackling unhealthy lifestyle habits. Please click here to view H.E. Al Amiri’s presentation. At a second event, on Wednesday, January 30th, the U.S.-U.A.E. 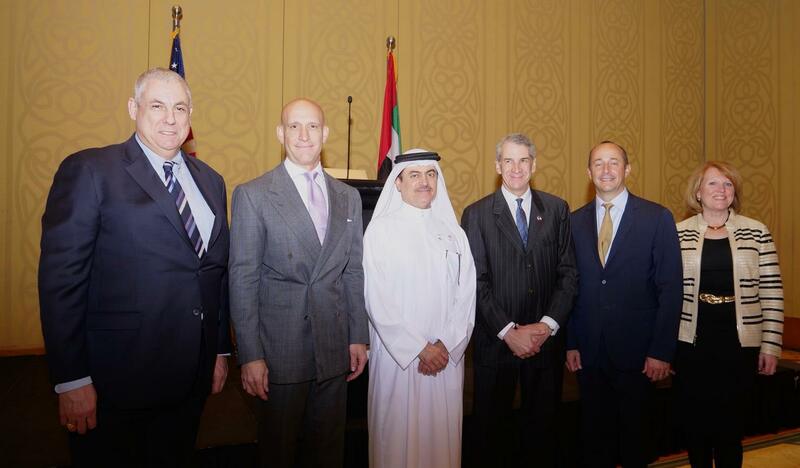 Business Council hosted His Excellency Mohamed Al Hameli, Undersecretary at the Department of Health – Abu Dhabi (DOH) for a roundtable discussion with U.S. business leaders. His Excellency and senior DOH officials updated participants on DOH’s most recent initiatives and discussed the strategic importance of medical tourism, medical research & education, and the pharmaceutical industry for Abu Dhabi. His Excellency and his team spoke of creating a new medical strip in Abu Dhabi in the future focused on bringing best-in-class partners in these areas. Pharmaceutical manufacturing in the U.A.E. will receive significant new focus and attention in the near future. Following his remarks, H.E. Al Hameli answered questions posed by attendees and emphasized, “We view the United States as a strategic partner and we welcome the investment of U.S. healthcare companies in Abu Dhabi”. Both events were attended by U.S. government officials in the U.A.E. and senior executives from leading U.S. hospitals as well as pharmaceutical, medical device, and insurance companies. Mr. Sebright concluded both roundtable discussions by warmly thanking the speakers and stating the growing importance of the healthcare vertical in the U.S.-U.A.E. bilateral relationship. Please see below for more information about H.E. Dr. Amin Al Amiri and H.E. Mohamed Al Hameli. Dr. Al Amiri received his M.Sc. in Medical Science in 1997 and his Ph.D. in 2003 from the Faculty of Medicine at Aberdeen University in Scotland, United Kingdom. Dr. Al Amiri is responsible for several departments at the MOHAP including the Public Health Policies Department; the Medical Licensing, Advertising, and Regulation Department; the Drug Control and Registration Department; and the Empowerment & Health Care Compliance Department. In addition to his work at the MOHAP, His Excellency Co-Chaired the Emirates Voluntary Association until 2003. He has also served as the Secretary General of the Sharjah Voluntary Award since 2001. Dr. Al Amiri has published widely in the field of blood transfusion in local and international journals. He has also received numerous awards, including the Sheikh Rashid Award for Culture and Science and awards from the Gulf Cooperation Council and the Arab League. H.E. Mohamed Al Hameli assumed his role as Undersecretary of the Department of Health – Abu Dhabi (DOH) in November 2017. Prior to his current role, Al Hameli served as Director of the International Patient Care Division (IPC) and Acting Director of the Emergency & Disaster Management Division (EDM) at DOH. After the restructuring of the Abu Dhabi healthcare sector in 2008, Al Hameli was appointed Manager of the Contract Management Unit, overseeing the implementation of contracts between SEHA and Cleveland Clinic. H.E. Al Hameli holds a Master’s Degree in Strategic and Security Studies, and a Bachelor of Arts in General Management from California State University.